A 47-year-old man has been arrested after a woman was found dead at a property in Hednesford, near Cannock. 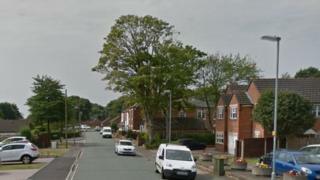 Staffordshire Police officers were called to an address in Anglesey Street at 18:30 BST on Saturday. Police said the man held "in connection with the death" remains in custody and forensic investigations were under way at the scene. A post-mortem examination is due to take place and the woman's death is being treated as unexplained. The man has been released under investigation, pending further inquiries.